When will the manifold be available? I have a new project and am debating whether or not to install the stock twins or wait and go single. I've been hoping for something like this. When will they be available to the public and are there any results? It is a bolt in replacement 74mm EFR turbine housing( 80mm SXE is also being worked on). 74mm turbine wheels will fit the 8374/8474, and 9174/9274. 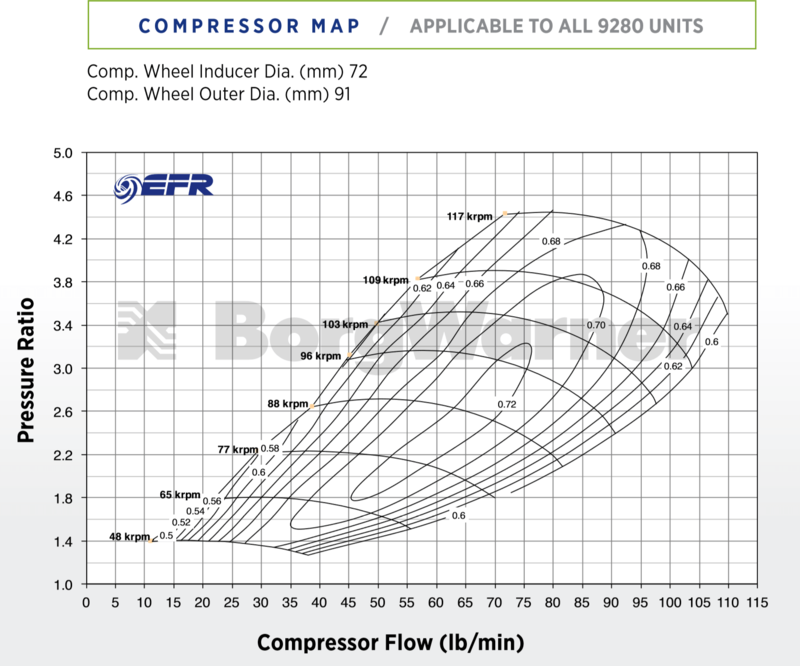 We will do the 80mm EFR turbine wheel, pending how well the sales do on these two first. EWG only for now. We hope to finish the design, and 3d print the housings in the next week or two, then its onto making the mold and sample housings. How will they be controlled? Will it need to be ecu controlled? No doubt you could do a ghetto hobbs switch/boost gauge logic output setup if your ecu was control or output limited. I think ideally you would be running imp:emp compensated tune to test transition points easily (while avoiding rich/lean across transitions) but something like the sequential turbo control for imap only load ref ecus would be close to ideal. I'm excited about these turbos, but my main question is when will they be available? When the efr series originally was released, I tried to buy one, but was on an indefinite back order. I eventually gave up and went with my second choice, billet 6766 dbb. This new lineup has me excited again, as I'm once again about to do a refresh. My understanding now after reading the information provided is that the 8474 is essentially a 67-68mm turbo in a 61mm frame while the 9274 is now a 74mm turbo in a 68mm frame? Looking at the maps seems to support that statement as well. If so, this is very exciting because I may actually go with the 8474 for the quicker spool but aim for the power of the original 9180. I figure this combined with Turblown's new housing would make my dream powerband for a street use 13b. Does anyone else have more information on the release dates for regular public? Please, feel free to follow my IG, Facebook Page, YouTube channel, or PM me on here if you have any questions. Please note that the guy in charge of doing catalogs at BorgWarner is a dult. These are 73.7mm Inducers, not 72mm. 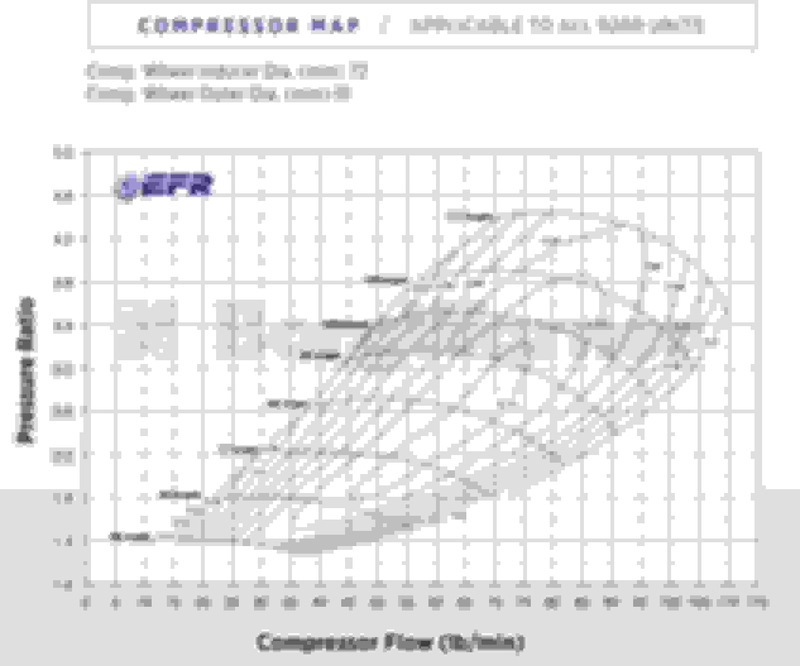 EFR 9274 Compressor Map, 73.7mm Inducer! 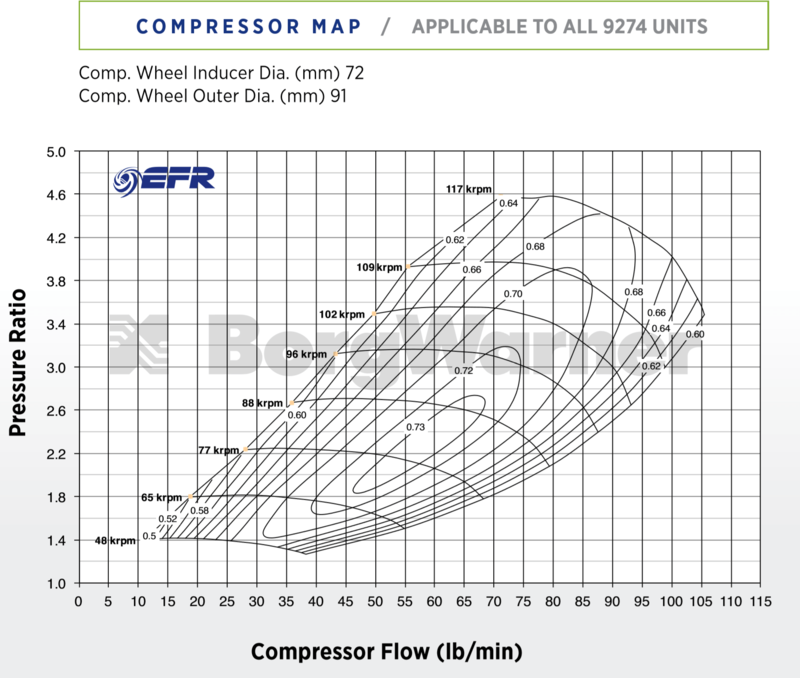 EFR 9280 Compressor Map, 73.7mm Inducer! I'll be doing a write-up for them later this week for Full-Race.com. 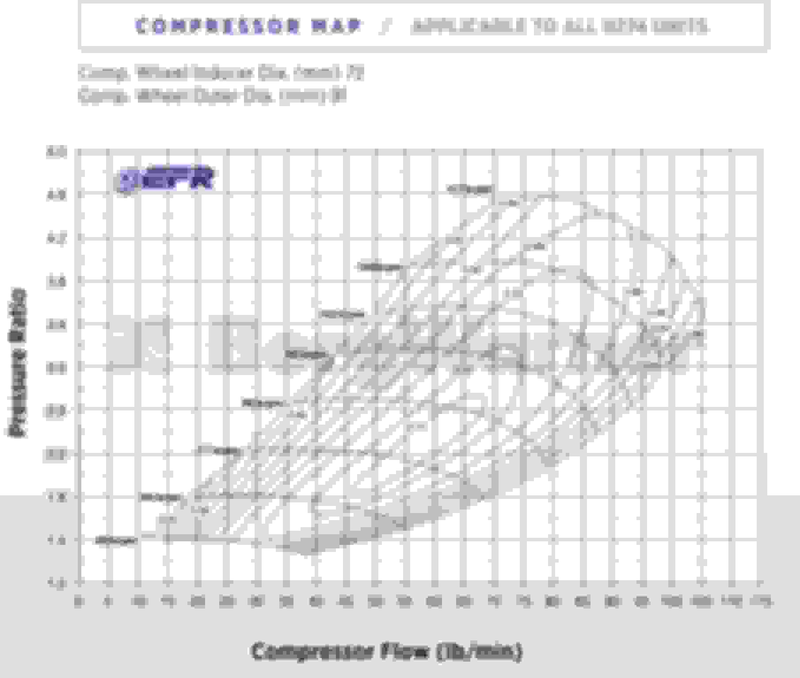 Essentially the compressor ratio itself from Inducer and Exducer are dramatically changed, but they are still B2 Frame Turbochargers. 9280 vs. 9180 = Same 91mm Exducer, but 9280 has 74mm Inducer and 9180 has 68mm Inducer. 9274 vs. 9174 = Same 91mm Exducer, but 9274 has 74mm Inducer and 9174 has 68mm Inducer. 8474 vs. 8374 = Same 84mm Exducer, but 8474 has 68mm Inducer and 8374 has 62mm Inducer. I can get more into details later, but that's the gist of it. The effects, we'll wait and see. Any link to the write up? I am surprised to hear we have our first 8474 shipping out to us tentatively after new years from BW HQ. I believe we are one of the first shops to get one of these new units. The test FD is getting our full cast ewg system, with dual egts, emap and shaft speed sensors. Some very in depth dyno testing with multiple videos to follow. Any idea when they may be releasing more units? It's still behind NDAs. Can't help you, but trust me, I wrote up the pages and found a fuckton of issues with the BW Catalog. Not to sadden any of you big-power hunters out there, but the Gamma-Ti technology in the turbine wheels is so far unable to go over 80mm due to casting issues inherent with the material and cooling rate. This means that we cap the rotary engine pretty early at around 650whp safely with the 9280 (and not overspinning it for a dyno figure). I inquired about the construction of a 9288 EFR which would be absolutely perfect for a T4 Divided unit, and it's just not in the cards. Sorry Gents. I believe they're also worried about overspinning the 84 compressor if attached to the 80mm turbine wheel (another mid-range monster idea), so that's not going to be out to market. I guess we're the only ones severely concerned with EMAP since our motors are so sensitive to it. 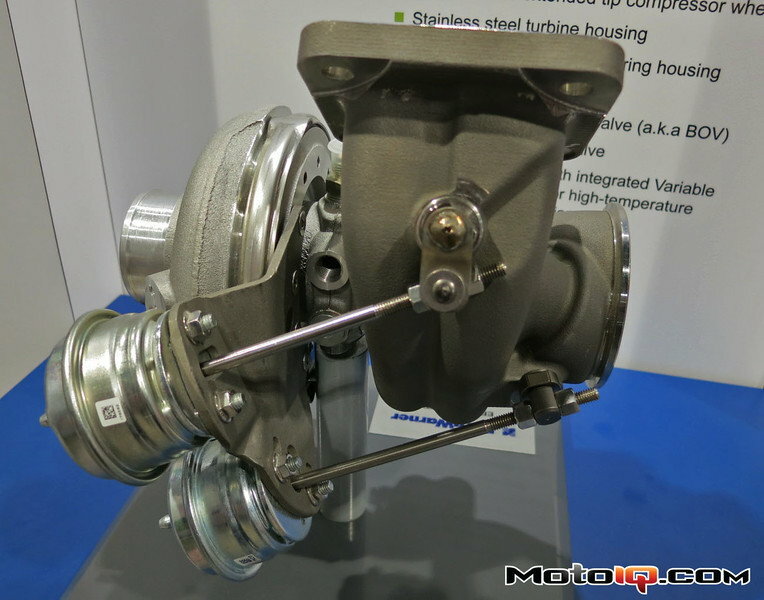 If you guys want some good news, the Garrett G42 turbo is going to be the new gold standard for Rotary Engines. Pricey, yes, but the smaller of the G42 series is EXACTLY what we need to crush 700+whp and be responsive on the street. 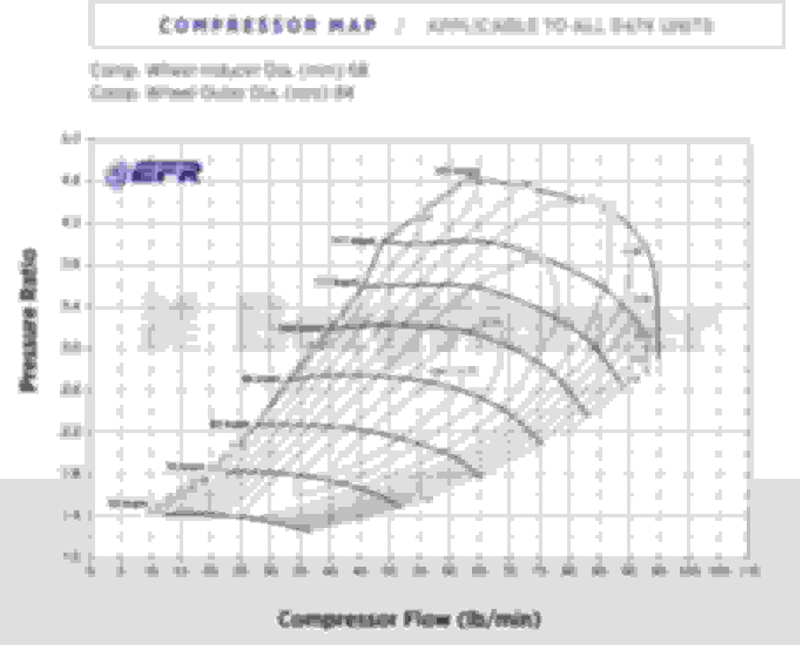 Is the older EFR 9180 is a better choice for a 2 rotor going for the 650 to 700 WHP? Sure seems like it while having quite a bit more response. It'll surge a hell of a lot less. Top end will definitely be won by the 9280. The G42 has a proper sized turbine wheel, which is why you'll be able to have a MUCH lower EMAP and run a larger port safer on that turbo = bigger power safely. I am told 30 days by BW. Our aluminum 8474 T4 1.05 is here. We are shipping this turbo kit out to HPAcdemy in New Zealand for a new series of webinars on their new shop FD. 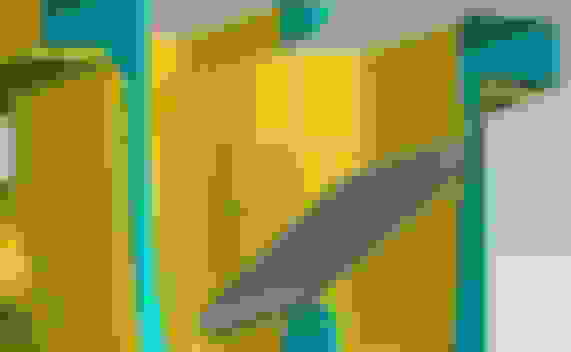 This will be some golden content. ^ that webinar is going to be gold. Thanks for the heads up. Very happy to see they kept the same turbine wheel sizes, as all of these will fit our new turbine housings..
Any update on the new housings? I'm really curious to see the difference in spool. On the last rounds of the cad revisions, then will 3D print here on our new printer. This has been a lot trickier than I expected, and is much more complex than the turbo manifolds we've been casting.. I imagine it would be easy to keep coming back for small changes that require a lot of rework in the model. Are the molds based on printed plastic to sand? I imagine final tolerance for flapper will be milled? 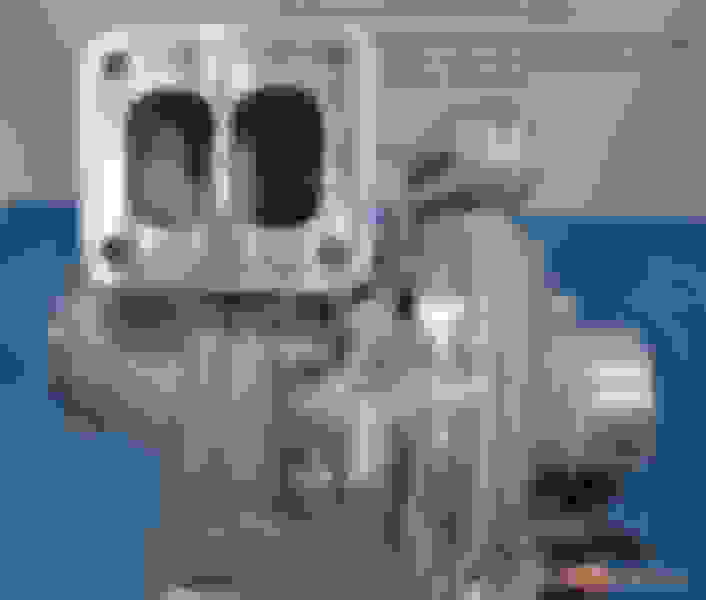 ​​​​​​Will these be offered with 2 port diaphragm actuators or some sort or solenoid/motor arrangement or both? 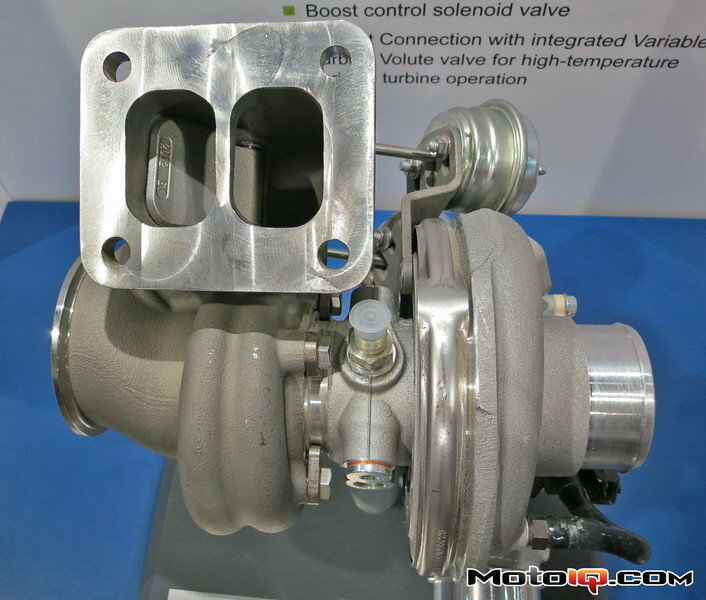 Have you done any CFD analysis or anything of the sort to support this being a design improvement over the housing borg warner designed for their turbo? Are you seriously suggesting that the velocity increase of using one scroll for spool won't impart more exhaust energy on the turbine during throttle transition from low engine mass flow than normal? As if people haven't been using quickspool setups for decades? The difference here is that after transition this doesn't present flow restriction or any significant additional volume in the system. It is clearly an intelligent evolution of the quickspool concept which when made in cast stainless will have excellent longevity too. what benefit is there to the community in being willfully antagonistic? It is clearly far superior to any freely available gear for achieving the same thing. Pretty sure he was asking if this was an improvement to Borg Warner's own VGT turbo exhaust housing. I would say- yes, it will at least be an improvement in availability if the Turblown one comes to market. 5 years after BW showed this concept off I still don't see one for sale. Maybe BW is worried about the liability of allowing customers to overspeed their turbos so easily and damage them in the aftermarket segment. This is like the S4 twin scroll, which they removed with the S5 to use the pulse charging effect. Also the 8474 compr. map looks worse to me than the 8374 map. More surge and less overall efficiency just a bit more flow. If your performance metric is quarter mile et, terminsl speed or lap time the 8474 will still win. The s4 wasn't a divided manifold however. If there was an economical casting material at the time that could allow the less obtrusive flapper arrangement which also divorces the rotors i imagine mazda would have gone that way. You are also talking about pissy little factory turbos that are on boost at 2000rpm anyway.